Are you getting excited to hit the trail yet? I know I am! Every sunny day gets me one day closer to our first backpacking trip! 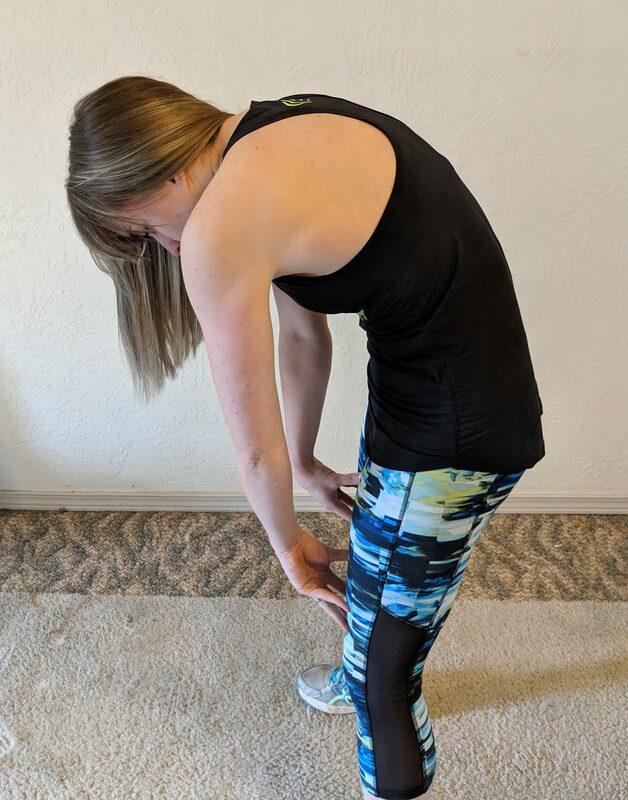 We’ve covered endurance and joint stability so far, and today we’re going to talk about flexibility. 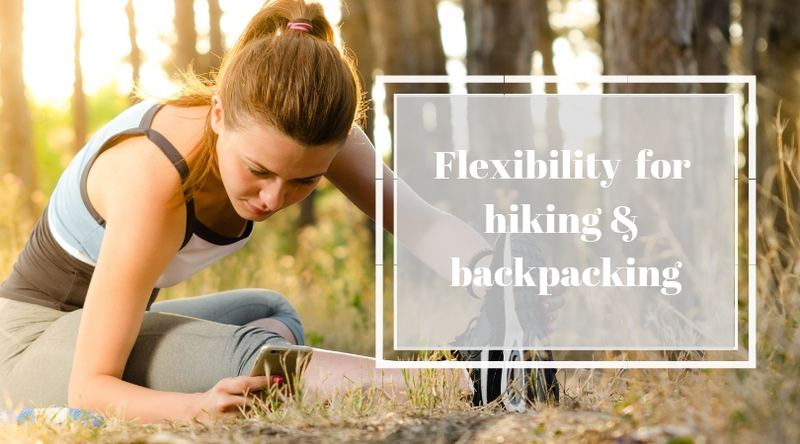 While by no means is it necessary to be gumby to enjoy a day on the trail, working on your flexibility can help you hike with less soreness and risk of injury. 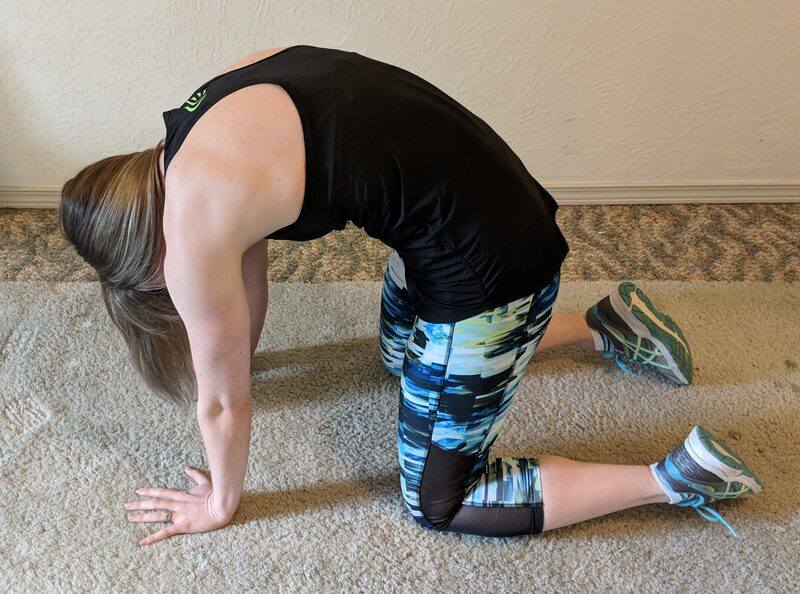 As an added bonus, performing these stretches after a day of hiking may prevent or lessen muscle tightness the following day. 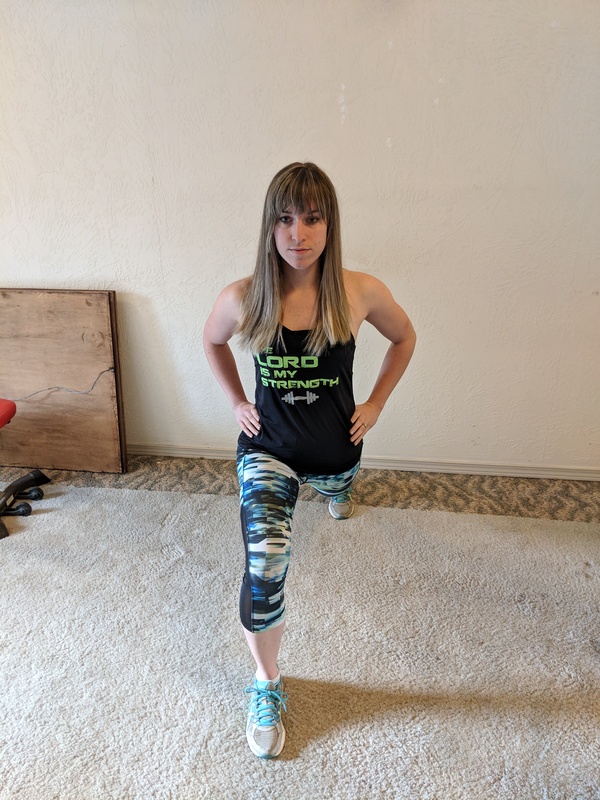 The primary muscle groups that are going to benefit from increased flexibility in this case are: hip flexors (on the front of your hips), glutes (buttox), quads (thighs), hamstrings (the backs of your upper legs) and calves. 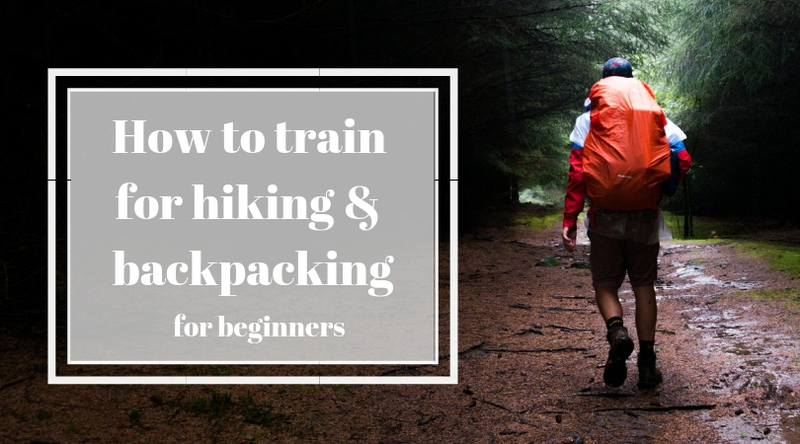 If you are carrying a pack, we’ll toss in your upper and lower back, and pectorals (chest) as well. I’ll show you 4 stretches that will catch each of these muscle groups. You want to hold each stretch for 30-60 seconds, 1-3 times a day. Press gently into the stretch until you feel tension but not pain. As you sit in the stretch, take deep breaths. You’ll often feel your muscles release some tension after 20-30 seconds and you’ll be able to go a little deeper without pain. Stand with your feet hip width apart and place your hands on your hips or against a tree or wall for balance. 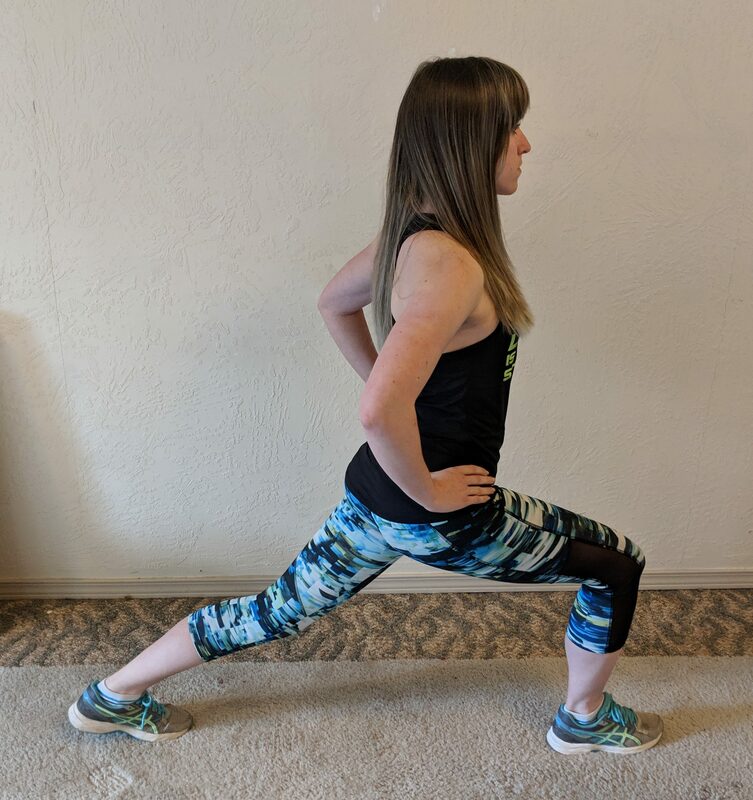 Step your right leg forward into a lunge position. Bend your right knee, press your left hip forward. Keep your left leg as straight as you can and press your left heel toward the ground. You should feel this stretch in the front of your left hip, down into your left thigh, and in your left calf. Hold for 30-60 seconds. Repeat on the other side. Stand with your feet hip width apart and place your hands on your hips or against a tree or wall for balance. Step forward with your right foot. 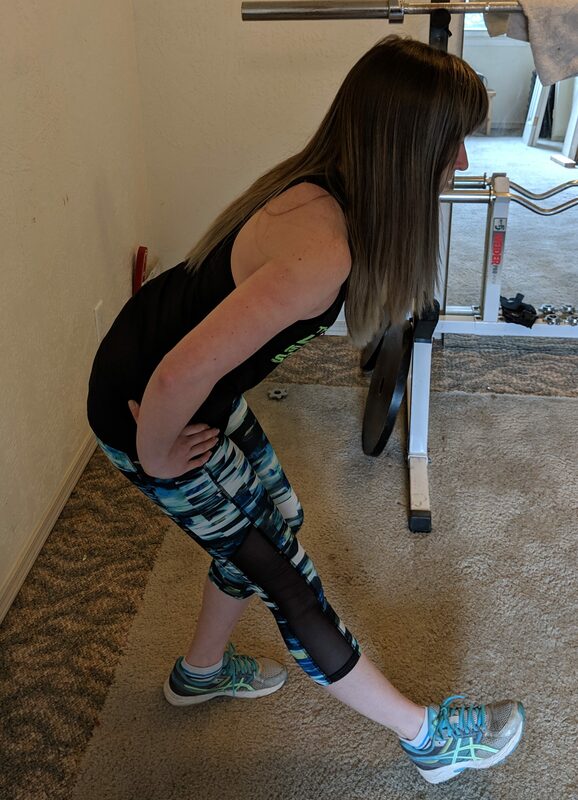 Keeping your right heel on the ground, bend your left leg and shift your weight downward as if you were going to sit down. You should feel this stretch in the back of your right leg and in your right buttock. Hold for 30-60 seconds. Repeat on the other side. 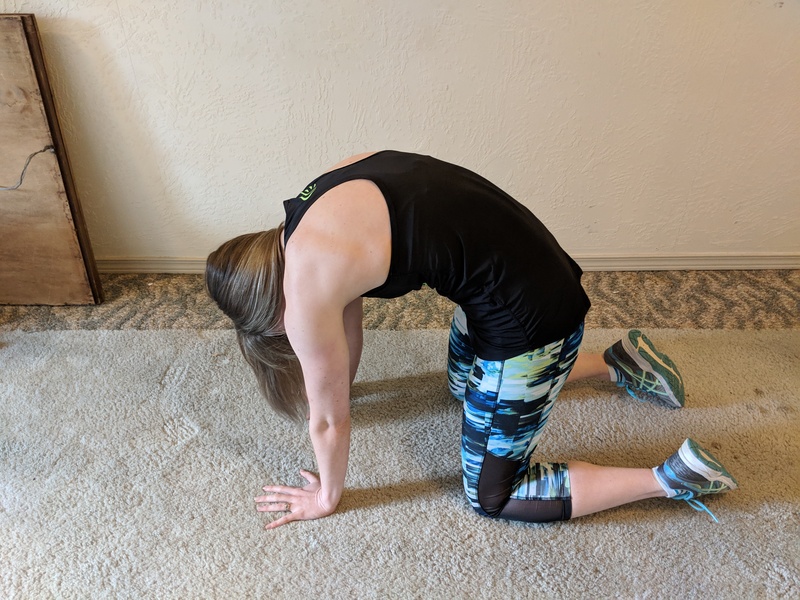 You can do this stretch standing or on all fours. Placing your hands on the ground or on your knees, pull your stomach muscles toward your spine and round your shoulders and back. You should feel this stretch in between your shoulder blades and around your spine. Hold this stretch for 30-60 seconds. Standing with feet hip-width apart, reach both hands behind you and interlock your fingers. 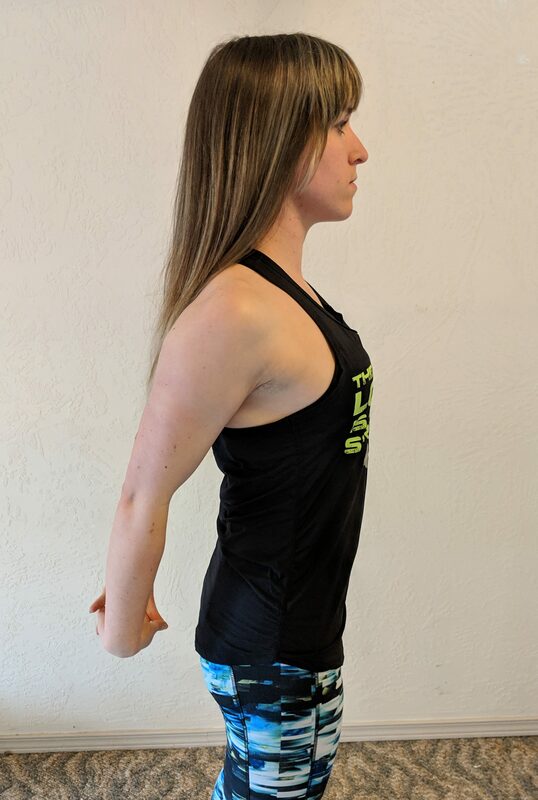 Roll your shoulders back and press down into your fingers. Keep a slight bend in your arms to avoid locking your elbows. You should feel this stretch in your chest. Hold for 30-60 seconds. If you are not able to clasp your fingers together behind you, you can press your arm against a tree or wall behind you to stretch it. And that’s it! Four simple stretches to help improve your backpacking experience. Consistency is key with flexibility – try to do these exercises daily (or several times daily, you overachiever, you). It only takes 5 minutes! When you’re out on the trail, there’s a good chance you’ll be dealing with some unstable or uneven ground. Between sticks, rocks, and roots, there is quite a bit of potential for strained or sore joints. Your knees and hips can run into trouble with instability, but there’s good news. The endurance training plan from my last post will strengthen and stabilize these joints. 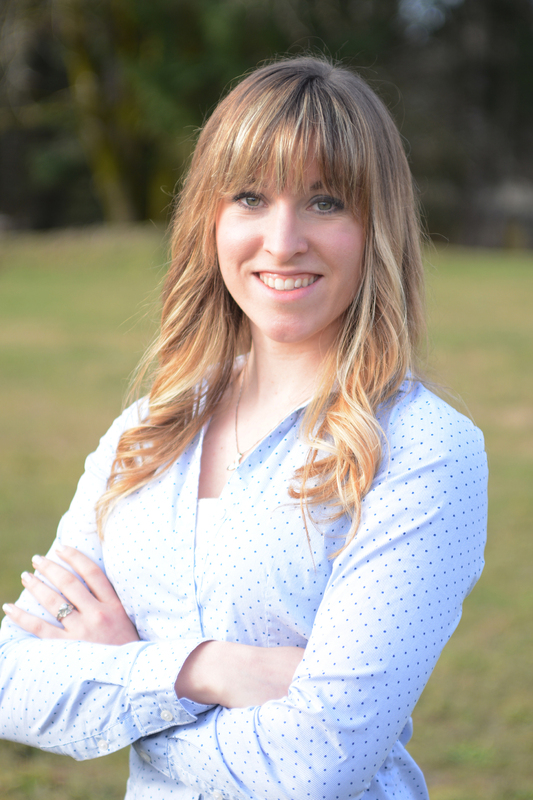 No need for anything extra – I love an efficient training program! There is another joint, however, that could benefit from a little extra attention. The most likely victims of instability on the trail are your ankles. Since they allow movement in multiple directions, they are usually less stable and can be susceptible to strains and sprains. On my first overnight backpacking trip, this completely snuck up on me. Fortunately I didn’t sprain my ankle, but carrying my pack and hiking on uneven ground for several miles caused my ankles to be sore for months afterward. In fact, I used some of the exercises below to help regain my ankle stability. This routine shouldn’t take you any more than 5 minutes. You can do all of the exercises You’ll need a resistance band for this quick ankle routine. Sit on the floor with your legs straight out in front of you. 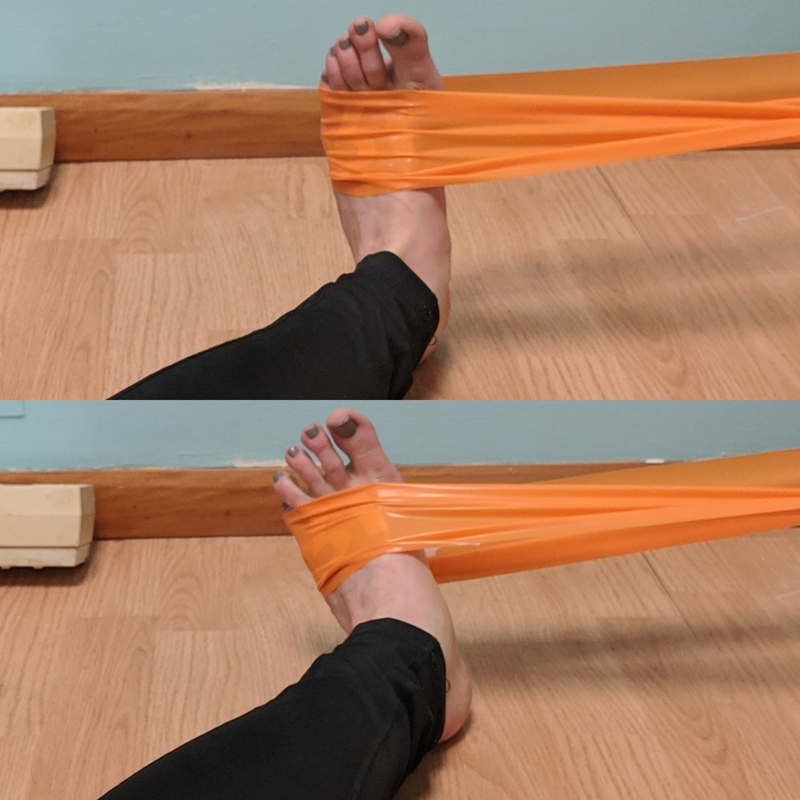 Hook the resistance band around the ball of your foot and hold the ends of the band in your hands. With controlled movements, slowly press the ball of your foot away from you. Slowly return to the starting position. Repeat this exercise 15 times on each foot. 2. Anchor your resistance band around the leg of a heavy table or bookshelf. Sit on the floor with your legs perpendicular to your anchor. 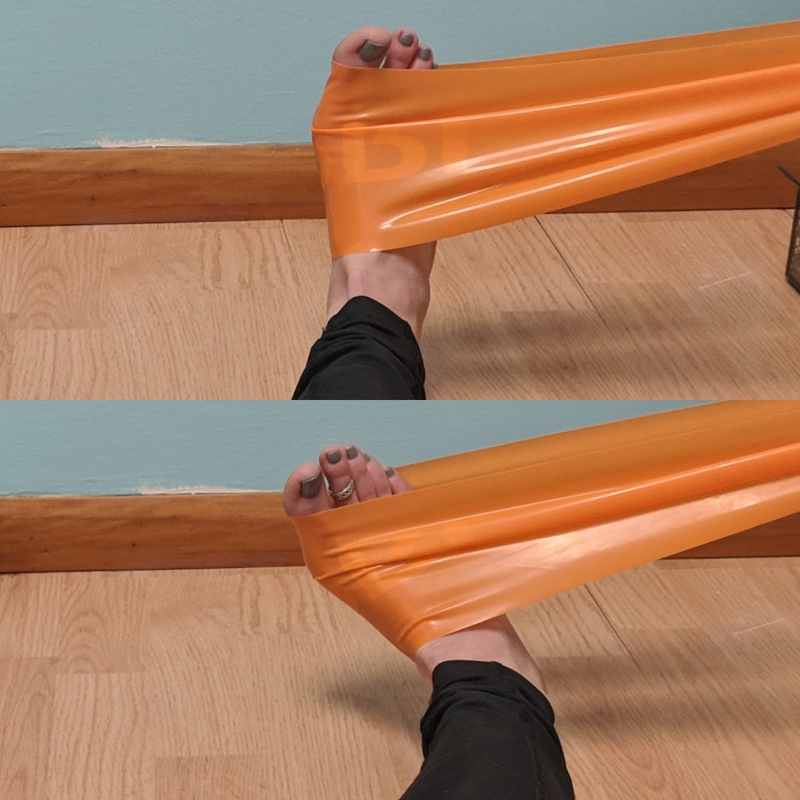 Loop the resistance band around the inside edge of the ball of your foot. Keeping your leg still, rotate your ankle to point your toes away from the anchor against the resistance of the band. Slowly return to the starting point. Repeat 15 times on each foot. 3. 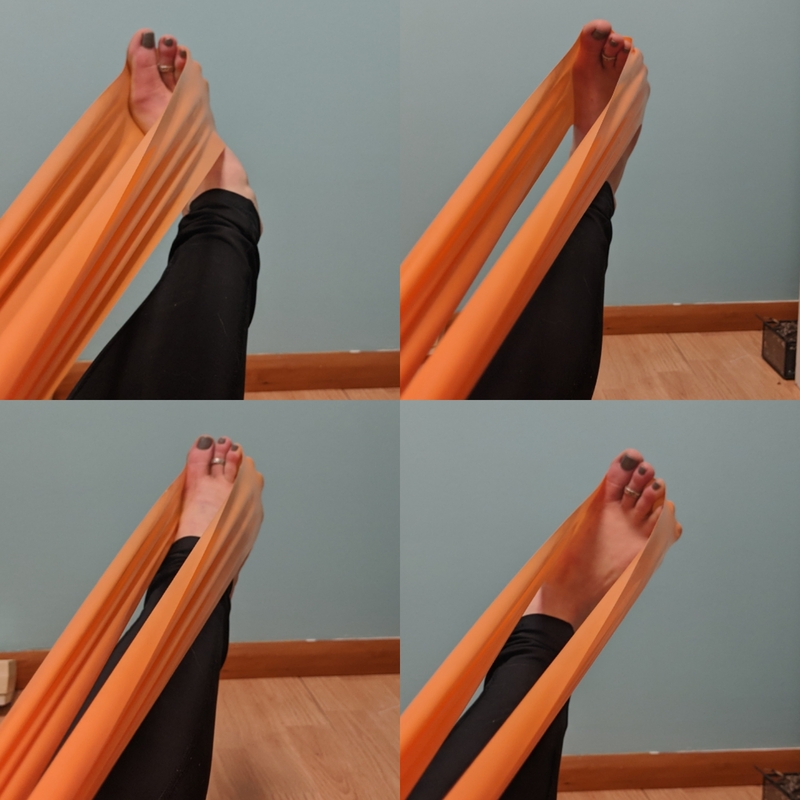 Repeat this exercise with the band looped around the outside edge of your foot. This time you will rotate your ankle the opposite direction to move your toes away from your anchor. 4. Sit on the floor with your legs straight out in front of you. 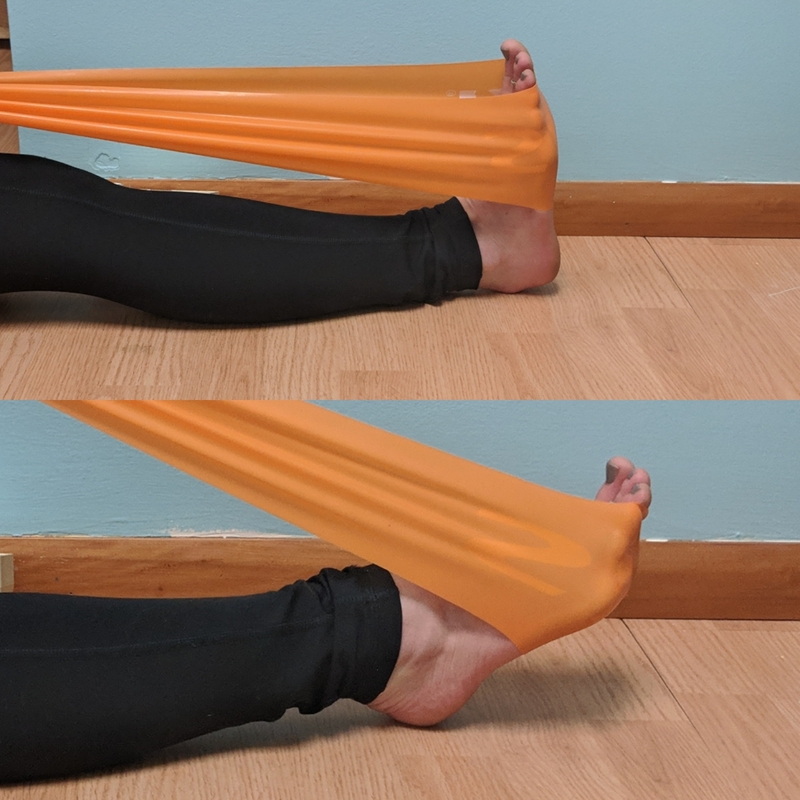 Hook the resistance band around the ball of your foot and hold the ends of the band in your hands. Slowly turn your ankle in a clockwise circle 15 times. Repeat in the other direction. Repeat both directions on the other foot. You can complete this 5-minute routine anywhere from 2-3 times weekly to 2-3 times daily. The more often you do it, the more stability you can build in your ankles.